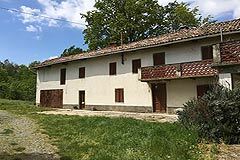 Country Wine Estate for sale in Piemonte Canelli Monferrato Hills (ref: 8019)- Interesting group of properties with Moscato and Babera vineyards. Excellent business potential.. Piedmont Properties in Piemonte. Property for sale Langhe and Piemonte. Map for Property ref: 8019, Country Wine Estate for sale in Piemonte - Interesting group of properties with Moscato and Babera vineyards. Excellent business potential.